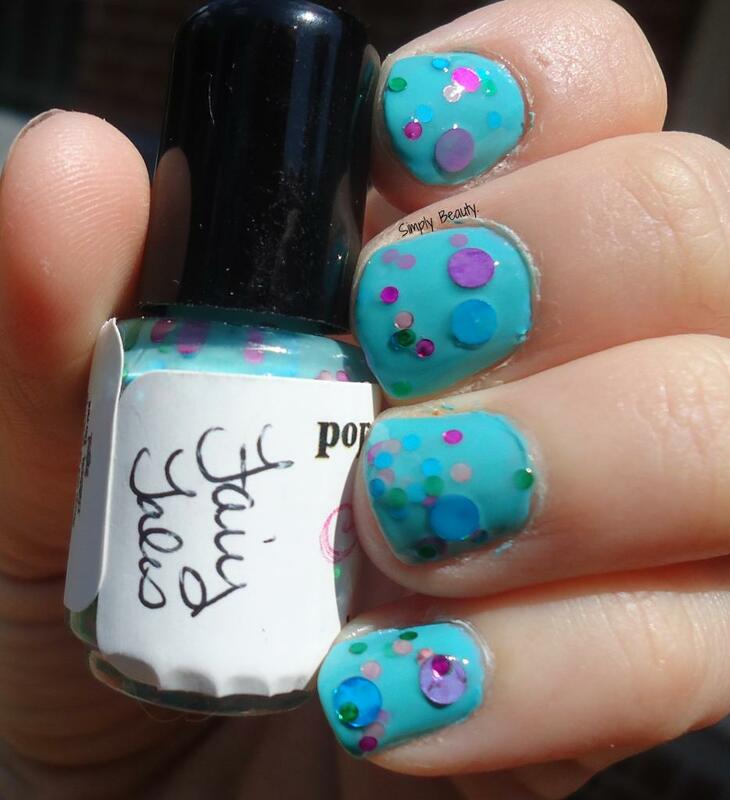 Alright everyone, this is my LAST fairy themed polish. you'll see that the two are verrrry similar. Here's 2 coats of 'Fairy Tales' over Essie's 'In the Cab-ana'. 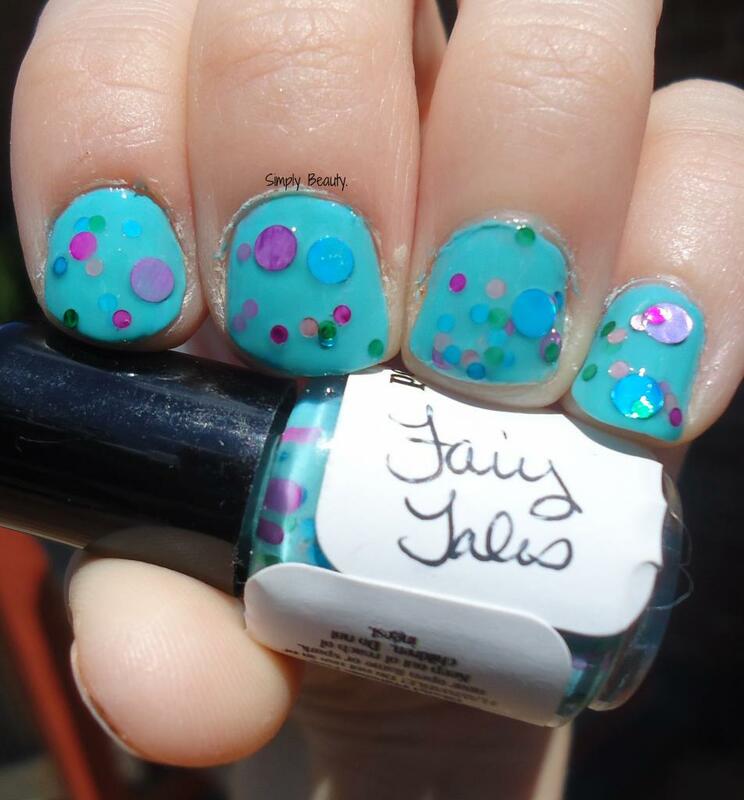 'Fairy Tales' is a "minty blue crelly filled" with circle glitters of all sizes and colored in either blue, green, hot pink, and light pink. It went over 'In the Cab-ana' nicely. Application: Good, but had to dig a bit for some of the bigger glitters. Very pretty. Matches that base color perfectly.